The origins of the Association are lost in the mists of time. While the oldest Articles of Agreement are dated July 1964, the Internal Revenue Service records show the Association was registered as a non-profit 401(c)(4) in September 1942. Its original name was "The Canaan Street Improvement Society" and its purpose was the planting, cultivation and protection of shade, ornamental and forest trees on Canaan Street as well as the promotion of the prosperity of the street. This simple mission did not last long. 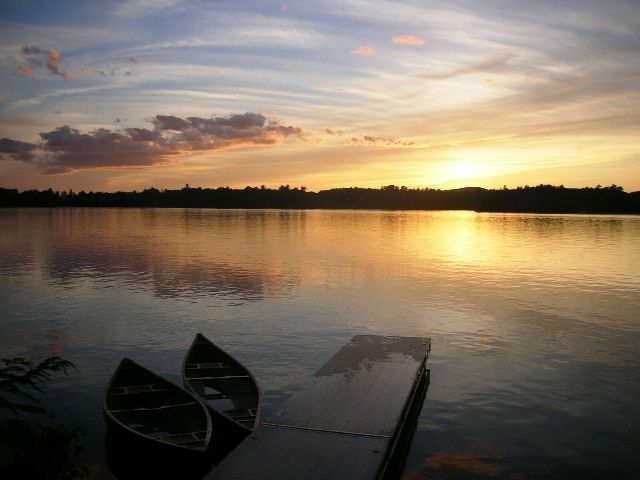 In 1969 the Articles of Agreement were modified to change the name to "The Canaan Lake Association." Its mission expanded to include the improvement and conservation of the bodies of water and the adjacent land of said bodies situated in Canaan, Grafton County, NH, with particular emphasis on that body of water in Canaan , formerly called Hart's Pond, and also Crystal Lake, and now known as Canaan Street Lake. In 2012, a second amendment was made to the Articles of Agreement in which the mission was limited to Canaan Street Lake and its watershed rather that all of the water bodies in Canaan. 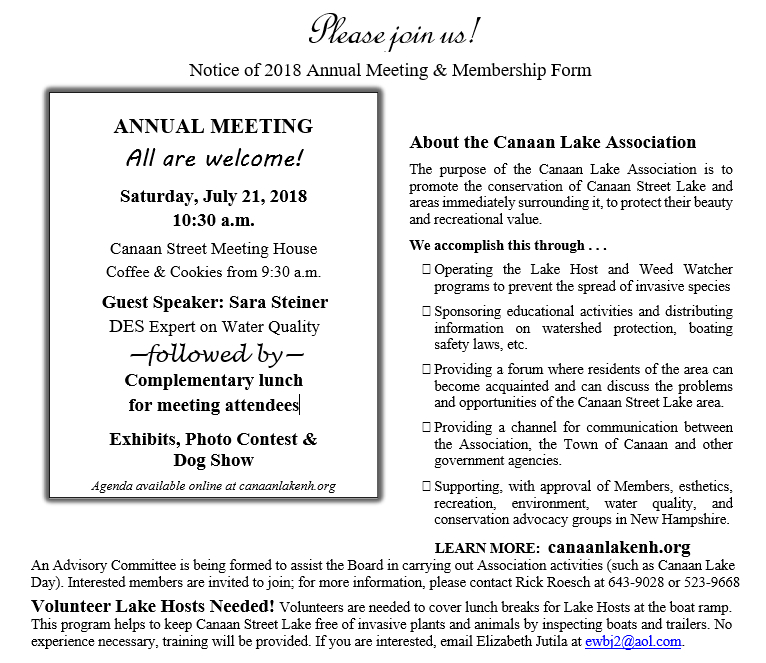 The Canaan Lake Association meets annually in July. View photos of past events here. 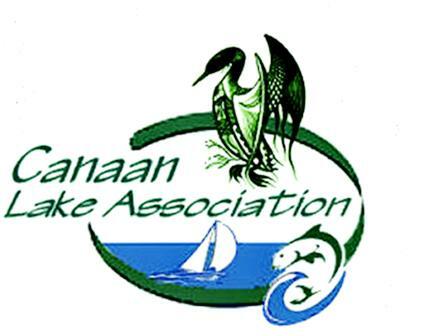 Snap great Lake photos throughout the year, and then enter the annual Canaan Lake Association contest!